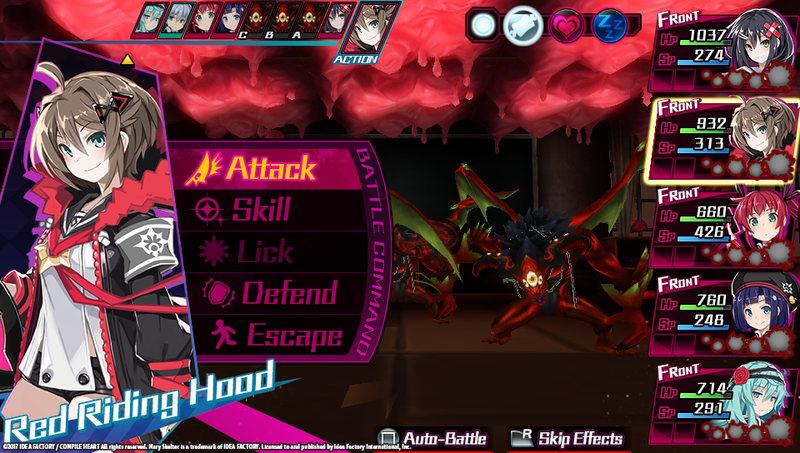 Today Idea Factory International has announced that Mary Skelter: Nightmares will be launching on the PlayStation Vita on September 19 (NA) and September 22 (EU). 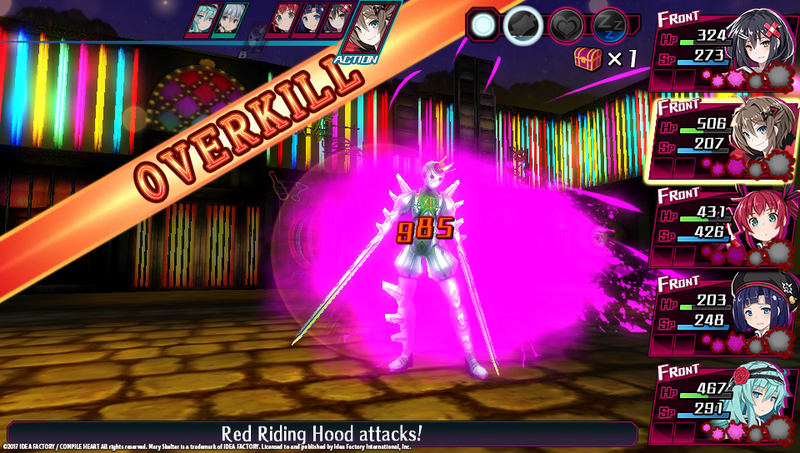 The game will also be PlayStation TV compatible. In honor of this announcement they have released an all new gameplay trailer and some screen shots for your viewing pleasure. 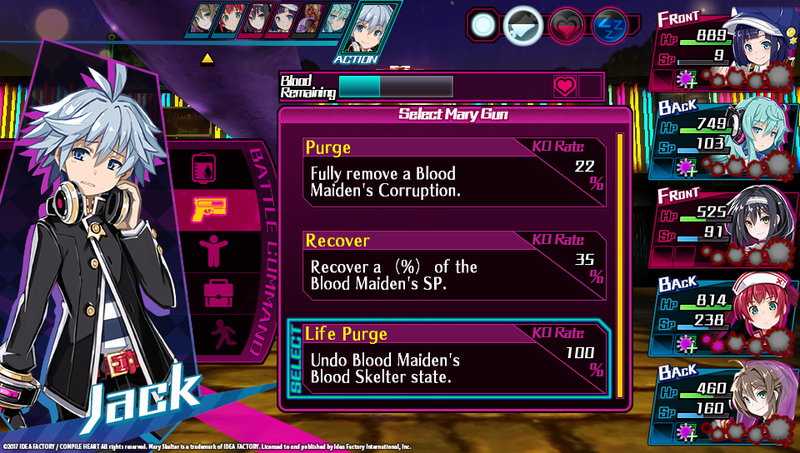 Escape from the living Jail in Mary Skelter: Nightmares for the PlayStation®Vita system! Powerful Nightmares actively stalk the player as you run through the dungeon–fight back with the dungeons’ gimmicks or the Blood Maidens’ abilities! Using a turn-based battle system, class changes, a blood-licking transform system, and more, you and your party must solve the dungeons’ mysteries and satisfy the prison’s desires. You just might make it out alive! Within the prison was a boy named Jack – living a life of suffering, tortured day in and day out, in a world where all dreams, hopes, peace, and humanity had been lost for as long as the people could remember. Everyone’s got a Job Strategize your dungeon battles by assigning different classes to your characters, unlocking new skills, stats, and character portraits!